Gnome-subtitles (http://gnome-subtitles.sourceforge.net/about) 1.2 is now available in the M11 main testing repository. If you don't have any other Mono applications installed, this will pull in quite a few Mono libraries as dependencies. As always, please let us know how the program performs if you give it a try, thanks! 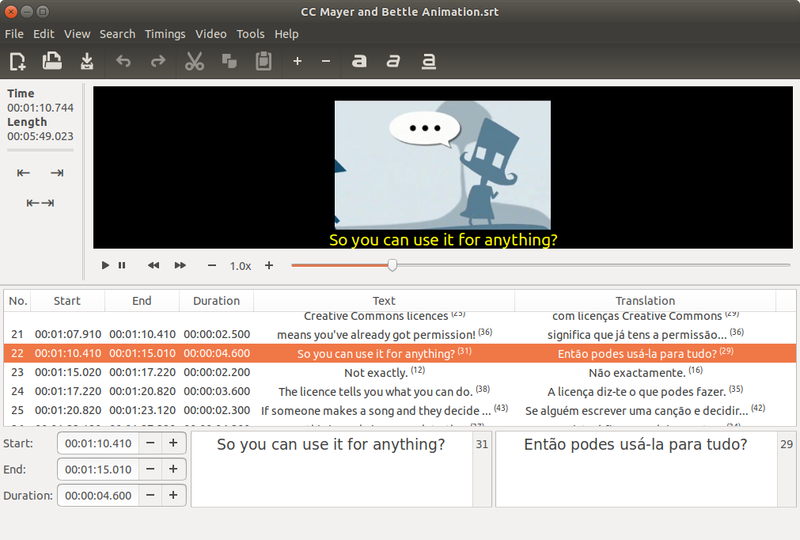 GNOME Subtitles is a subtitle editor for the GNOME Desktop environment. conversion, and synchronization by using a friendly user interface. Hello, I can not play mkv files. I need some dependency. Please help. Thank you. A few years since i used Mepis 11 but think that vlc can handle mkv files. It also has nothing to do with the thread subject. Please start a new thread in the Mepis 11 forum--but recognize that that OS is 5-years old and only minimally maintained. And be sure to provide the output of inxi -F so we know what you have.